If you make your own alcohol at home, you’ll probably need some calculations to produce spirits by yourself. Here you find the main calculators online. 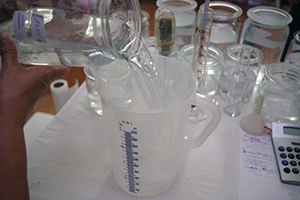 Diluting alcohol: Calculate the amount of water needed to dilute the alcohol you received after distilling. Mixing alcohol: If making your own spirits it could be necessary in some cases to mix two alcoholic liquids which contain a different alcohol content.